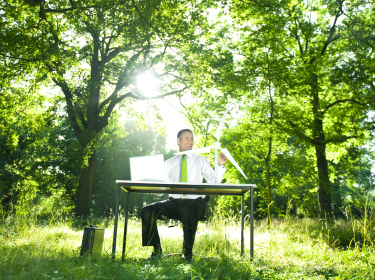 Green marketing is all about showcasing your business in an Eco-friendly light. No matter how big of an impact your marketing has, you will have to present facts and actual things about your business. Otherwise, customers will have a hard time believing they can trust you. Moreover, it is not just about reliability, but that you will have an impact on others to switch over to a greener life. Saying and doing are two separate things. Unless you can put your words into action, you cannot expect people to recognize your brand as green. Moreover, you need to work on your image, to perfectly reflect what you stand for and what your goals for the future are. For small businesses it is best to use low-cost branding tools, because their budget will not have to suffer as much. Even though you will need to invest in marketing to get consumers to hear about your business, you have to consider just how much it costs you. Furthermore, you need to find a way to incorporate online marketing with your existing strategy. Not only will it have a bigger impact, but digitally marketing your business will be more acceptable and even expected from clients. Bear in mind that you should set a budget, to know exactly how much you can spend on it. Acting green means more than just using sustainable energy and promoting your business as such. You will have to get involved with other green businesses to collaborate successfully. Promoting one another will be a great way to get more people to know about your business. Moreover, the benefits of buying local green products will improve the overall economic state of the community. On the other hand, it might have positive effects on how your business is perceived. As a green company, you should show your customers that you truly care about the environment. Switch from fossil-fuel cars to environmentally friendly and fuel-efficient vehicles. This can be a tad expensive in the beginning, but in the end you can save up a larger sum of money. Furthermore, it will send the right message for people and partners alike, so that they know your business is the real deal. Your IT department might be doing an excellent job at keeping maintenance up. However, unless you switch to a greener networking method, you could be using up a lot of energy. Once you cut the unnecessary networking equipment, it will help your business save up some money. As well as improving overall communication and networking with clients and business partners. Keep in mind that good communication is key for better results. Promoting your business can be done in many ways, and you should look into how much you can achieve with simple promotional events. Moreover, be sure to include such products which will grab the attention of people, and will last. Printed calico cotton bags are an excellent choice as they will be made from organic materials, and will be have the necessary longevity for your clients to enjoy. Giving back to the community is perhaps the biggest charity you can do with your business, and it will be visible what you are doing. Do not assume that you have toundertake large projects all the time, rather, start small and keep it consistent. Remember to promote not only your business, but a green way of thinking as well. Devising a good green marketing strategy will take a lot of effort, and you have to sit down, get your budget straightened out to see what you can really afford. Moreover, transforming your small business into a green one will only have positive benefits which can further promote your business to become greater. The small steps you take can reduce your overall carbon footprint, present your business in a better light, and ensure that you provide great service. You will end up saving the environment, and having happy satisfied customers with a high rate of return.